Time to get ready for the fall competition season! 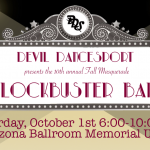 New this year, Devil DanceSport will be traveling to two intercollegiate ballroom dance competitions in the fall. 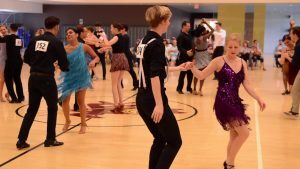 The first of these travel competitions is one that Devil DanceSport has not attended in the past: The UC Santa Barbara Beach Ball, hosted by the UCSB Cotillion Dance Club on November 5. The UCSB registration packet (linked below) will cover your registration fee and hotel. For this competition, we will be using our point-based travel subsidy system. We will take the point total from the fall semester to compute your travel subsidy. 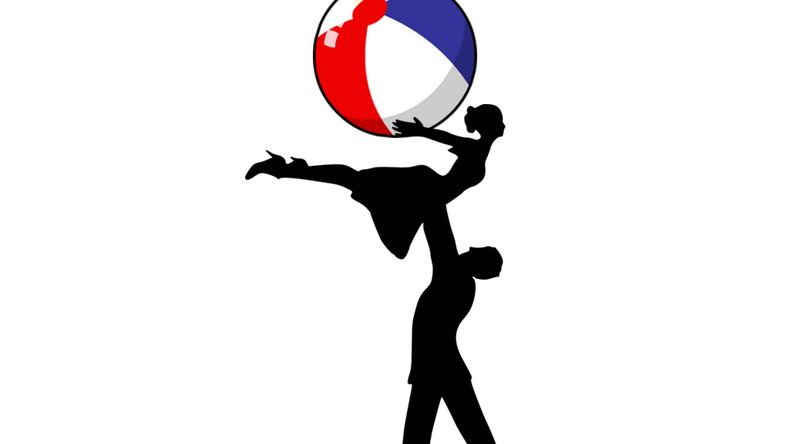 The base unsubsidized cost for the Beach Ball package is $80; if you met all of the travel subsidy requirements, you will receive between $20 and $40 off your travel package! We have pre-calculated subsidies for all of you, and you can check how much you would pay at our travel subsidies page. If you want to take advantage of this offer, you must return your UCSB packets to a DDS officer by Friday, October 7, 2016! 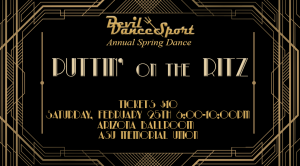 In order to be able to travel, you must be cleared as a Devil DanceSport member for the spring semester by the packet deadline (Friday, October 7); for more information about how to become a member, check out our membership page. If you do not have a way of getting to Santa Barbara yet, don’t worry! We will coordinate rides to make sure that you can make it there. Full competitor packet – includes FAQ and all the forms we need from you. Includes two roster forms, one for you, and one for your partner. Extra registration form – for those of you with a bajillion partners. You need one per partnership.